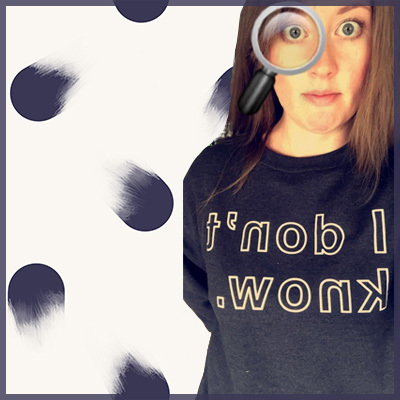 I am SOY excited to share today’s review of a new-to-me vegan and beauty subscription box service. 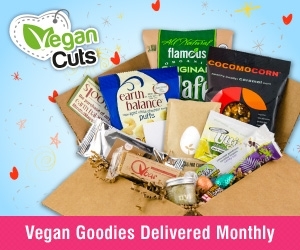 The lovely folks at LaRitzy curate a monthly box of hand-picked cruelty-free and vegan beauty products. Shipping is free to U.S. residents and only $5 for those in Canada. And the box is delivered straight to your door. I grew up with dogs in the family and currently have 3 adorable little puppies (one is 16 but they’ll always be puppies in my eyes). The thought of someone locking them up to test chemicals that are not yet approved for human use had me wondering why the barbaric process of animal testing still exists. After all, if a chemical needs to be tested on an animal to make sure it doesn’t have any serious effects to its health, it probably shouldn’t be something we’re putting on or in our bodies, right? That’s how LaRitzy was born. LaRitzy wants to show women that cruelty-free beauty products are the way to go. To do that, we decided to start a subscription box to get the message across that there are amazing alternatives to harmful products. All you need to do is give it a shot and you’ll be amazed by the variety and quality of these great upcoming and established brands. It’s time to rethink brands like Secret, MAC, and Maybelline. 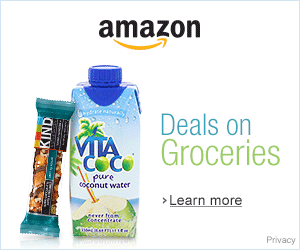 Discover new products that are friendly for you, the environment, and kind to the animals. They offer two types of boxes with various subscription plans to meet your budget. LaRitzy arrives in clean simple cardboard packaging with their logo and design stamped smartly on the front. Products are nestled in the same paper confetti as Petit Vour and Vegan Cuts–though a lighter color, so less residue lands on the products. Description: This super fine finishing powder will give your face a flawless, velvetty finish. The translucent powder is barely noticeable and sets your makeup for all day wear. Great for all skin tones. 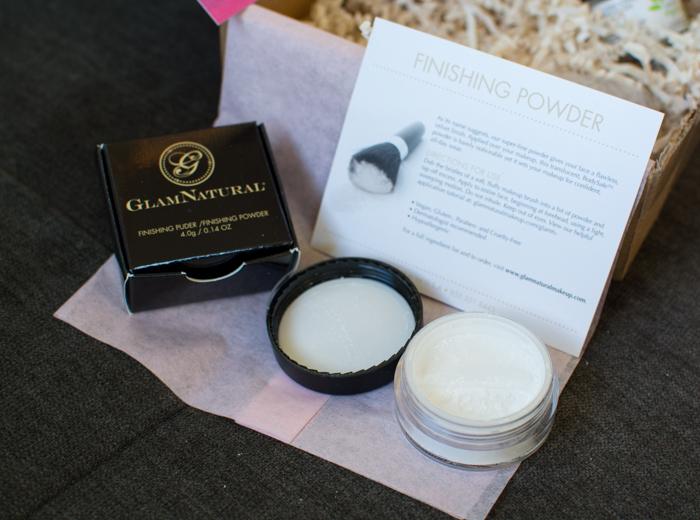 My experience with finishing powder is limited to two brands, but I’ve learned how to use it! It’s great for squelching the infamous t-zone shine. A little dab on a fluffy brush and a quick buff across your forehead, nose, and chin is all it takes to tone down the sheen. And it works with or without foundation. This will last me a while, but I would definitely buy it again. 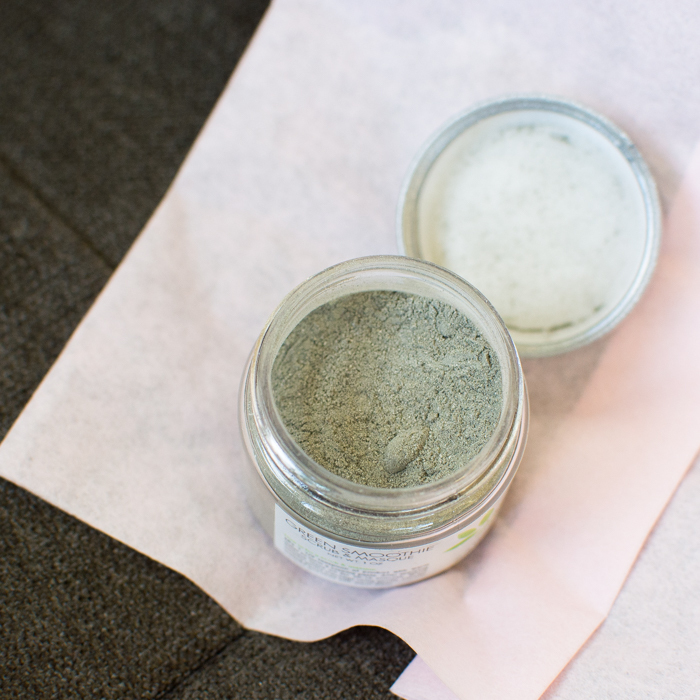 Description: Refreshing, cool and soft is how your skin will feel after using this blend of organic sea kelp, activated bamboo charcoal, rhassoul and bentonite clay. 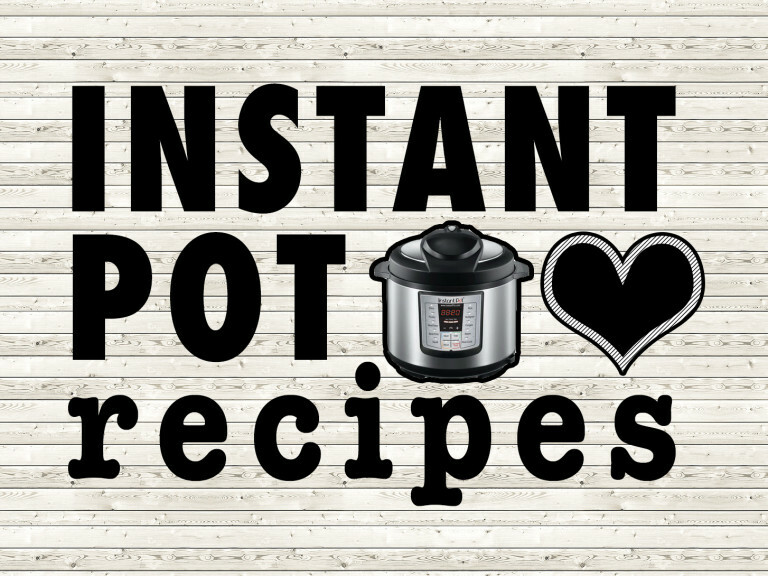 An amzing way to detox your skin after a long week! Have a green smoothie for breakfast after you’ve made one for your face. I love this masque and I think it’s my second time receiving it in a subscription box. Fist pump. It has a pleasant herbal smell and is super easy to apply. I dampen my skin with some lukewarm water then I dump about a teaspoon+ in the palm of my hand, add a little dribble of water from my other hand, and then mix it up with my finger tips until it forms a paste. Spread it all over your face and leave it on for 10-15 minutes or until it dries. I then dampen my face with warm water and rub in a circular motion with my fingertips or a washcloth if I’m looking for extra exfoliation. My skin felt really smooth and silky after use. It’s great for those once a week maskortunities. Description: This powerful serum will be your best friend this winter (TELL ME MORE). It will protect your skin from free radicals and the vitamin C will help increase collagen production, leaving your radiant all winter! Love it. It’s a light clear serum that doesn’t feel tacky or tightening after it dries. I’ve been using it mostly at night though you can use it in the morning too. After I cleanse and spritz with rose-water I put a few pumps in my hand and rub it in circular motions into my face, neck, and décolletage. 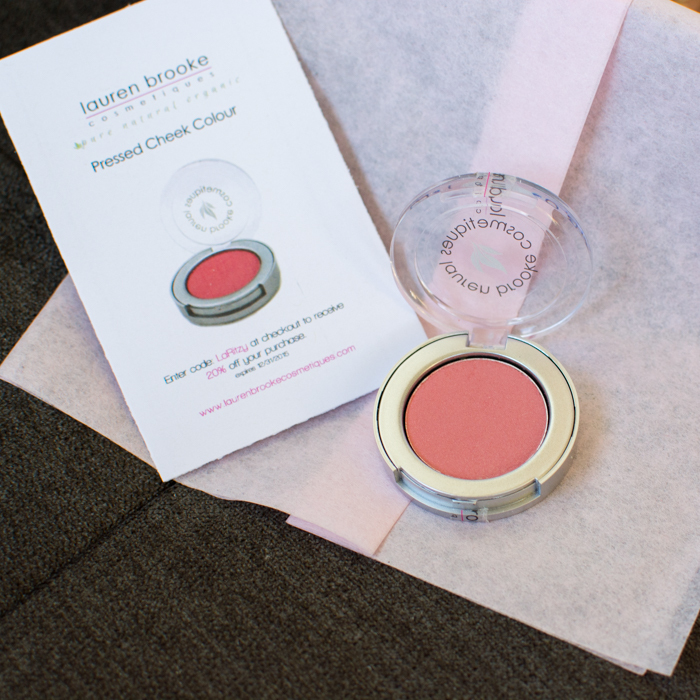 Description: Add a bit of colour to your cheeks with this pigmented blush! Can be blended in to achieve desired color. This is a beautiful blush and worked great with my skin tone. It’s a light coral pink with good staying power. I’m currently switching between a NYX blush and one from Two Faced – I am gladly throwing this into the rotation. 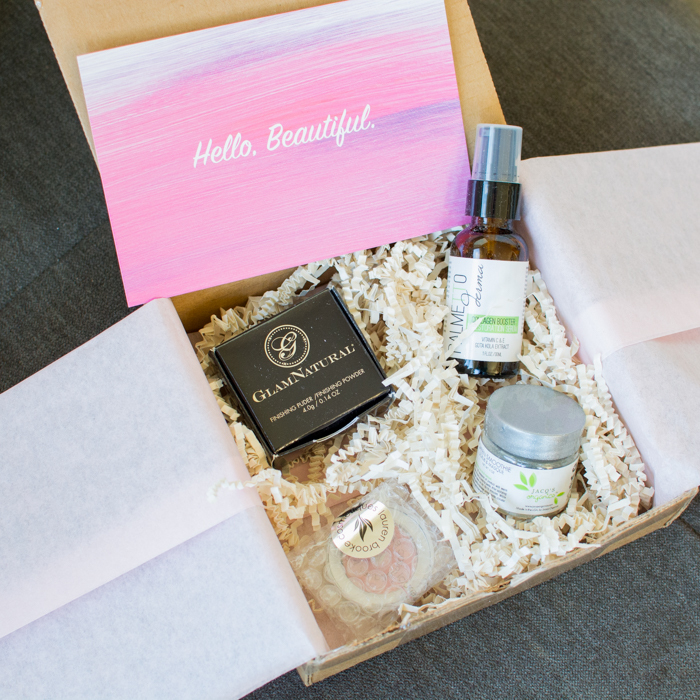 For the love of subscription box services, they are great for so many reasons, here are a few. 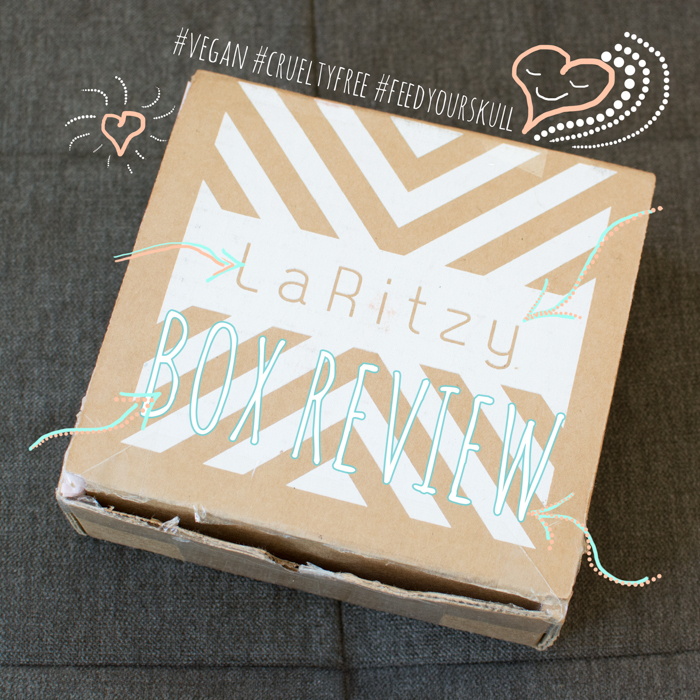 I’m quite pleased with LaRitzy’s subscription box of sweet vegan beauty offerings. I love that there was a mix of makeup and skin care as well as new-to-me brands! 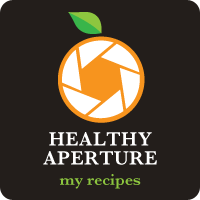 If you’d like to try out a LaRitzy subscription or buy a subscription for someone special this holiday season, use this special coupon code for Feed Your Skull readers and save 10% off of your purchase! 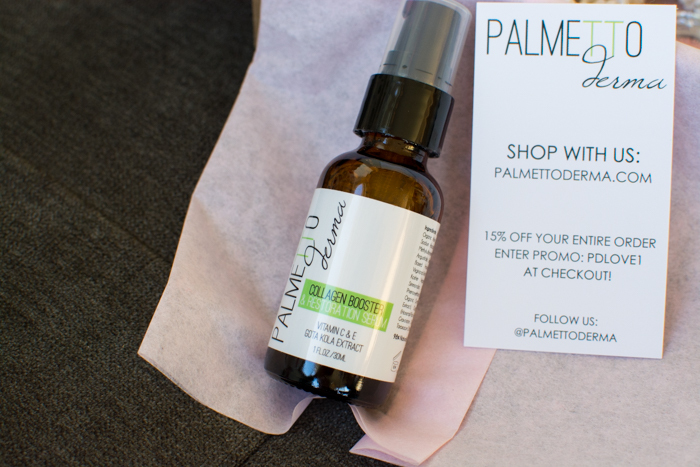 I was skeptical about this Palmetto Derma serum when I start using its become my favorite serum ever, thank you for your greatest post.